Every year I look forward to the days when students and faculty return from summer, fresh off internships, research projects, study abroad, sabbaticals, and relaxing vacations. Your excitement and enthusiasm are contagious, and I am thrilled to see campus getting busier by the day. I hope you are as excited as I am to kick off the 2017–18 academic year. This summer the campus team worked hard to lay the foundation for another fruitful year at UT. From the physical landscape to exciting new additions to our staff to long-range planning, the work of countless people made sure campus was better than ever for the upcoming year, and I am so grateful for their hard work and dedication. Thank you for your patience as we transform UT and strive to provide the best learning and living environments possible. Now we are ready to welcome more than 6,000 new students to Rocky Top! With an incoming first-year class of more than 4,800, we are seeing healthy enrollment and steady growth. Our new students have the most impressive academic profile on record, and they bring leadership, community service, and life experiences that will add to our vibrant campus community. 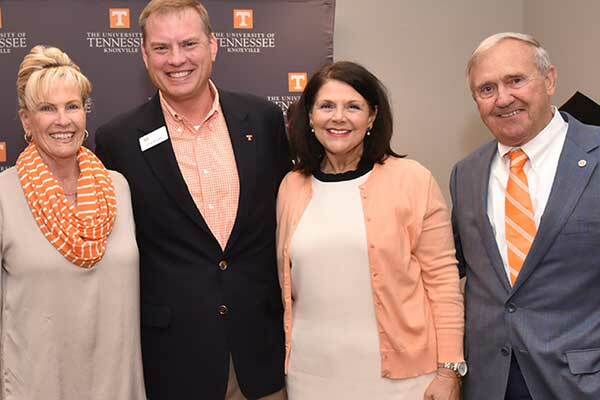 This fall we will also welcome 100 new world-class graduate scholars who come to us as part of the Tennessee Fellowship for Graduate Excellence program, a $4 million investment we have made to recruit the best and brightest to our campus. Many new Volunteers are already on campus and diving into pre-semester programs. More will join us this weekend. I am looking forward to being on campus Saturday to welcome them and their families. Be sure to check the campus Instagram account on Saturday morning during move-in. I’ll be taking over and posting photos of our newest Vols as they arrive at their new home away from home. Beautiful landscaping and new buildings are not the only enhancements we have made this summer. There are new people, new living spaces and learning spaces, and new opportunities for reimagining our future. I am continuing to make progress on filling senior-level administrative positions and addressing some critical staffing needs. On June 30, Chip Bryant was named vice chancellor for development and alumni relations after serving in the interim role for the past year. He continues to grow our strong momentum for private support by engaging alumni, forging new partnerships, and broadening our donor base. 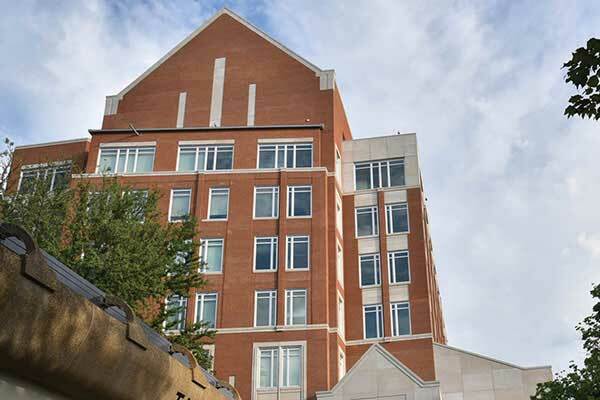 Under his leadership, UT was fourth in the SEC in overall dollars raised last fiscal year. This is the best finish UT has ever had. Congratulations to the advancement team! Their work results in more scholarships, faculty support, facilities improvements, and more unique opportunities for our honors students and others. I am especially pleased that Ashley Blamey, former assistant vice chancellor for student life, is now serving as Title IX coordinator for the campus. Since I have arrived I have voiced my commitment to providing the resources needed for continuous improvement of our Title IX efforts. Her oversight will continue our work to build a national model for providing support to students as well as training and awareness to our community to help prevent sexual assault, relationship violence, stalking, and retaliation. We will also be working closely with Human Resources this fall on an organizational structure that better serves the needs of our campus faculty and staff. In bittersweet news, Taylor Eighmy, vice chancellor for research and engagement, is leaving to be president of the University of Texas at San Antonio. Nothing is a stronger testament to the great work being done here than when our team members take leadership positions at the highest level. He departs on August 31 and Robert Nobles will begin serving as interim vice chancellor on September 1. This fall I will launch searches for the provost and vice chancellor for research and engagement. As you walk around campus, I encourage you to check out some of the newest spaces. In June, beautiful Strong Hall opened. The building houses classrooms and laboratory space, and most undergraduates will take a least one course in the state-of-the-art learning spaces and laboratories. 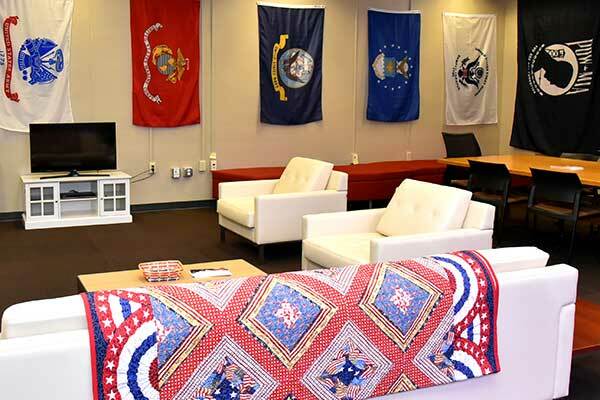 Our veterans also now have a vibrant and comfortable space to gather, meet one-on-one with veteran service coordinators, and get the support they need to transition to civilian life in the Veterans Resource Center, located on the ground floor of Hodges Library. I am so proud to have a space dedicated to those who have bravely served our country and so pleased to have waived out-of-state tuition for eligible veterans. You will also notice significant progress on the second phase of the Student Union and the Ken and Blaire Mossman Building. Both are slated to open during the next academic year. In the coming months, you will be hearing from me more often through a series of letters and video messages. 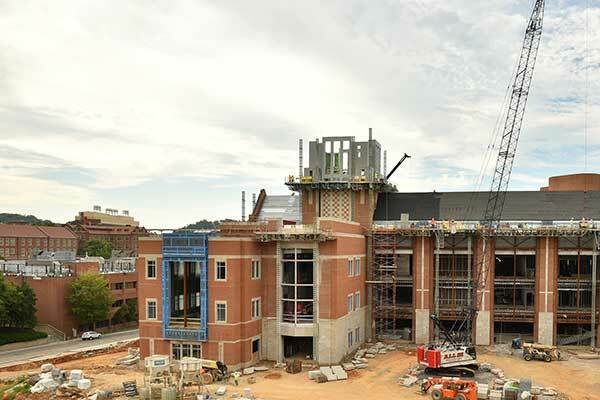 My goal is to share highlights and keep you informed about the progress we are making at UT. I am here to serve the entire campus community and look forward to engaging with you to discuss our strategic direction and initiatives that help us capitalize on our strengths to accelerate innovation and entrepreneurship, student and faculty success, and our ability to address some of the world’s greatest challenges. I want to end by thanking you for your help and support since my arrival on Rocky Top. It is truly an honor to lead this university. The kindness and support I have received from this community are overwhelming. As Volunteers, we expect every member of our community to be treated with dignity and respect. All new students will feel at home with their new family where faculty, staff, and students alike will think beyond their wildest imaginations—the special place we call Rocky Top! I cannot convey how hopeful I am for our future and how grateful I am to be working with you. Here’s to another great semester. 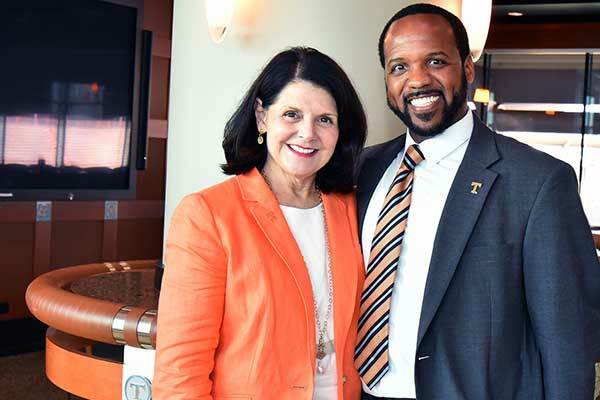 Thank YOU for making the University of Tennessee such a special place!